Florida National University recently caught up with Orlando Rivero, D.B.A. a Class of ’89 graduate. He was kind enough to take some time away from his busy schedule to participate in a brief question and answer session. I was born in Miami, Florida, and I grew up in the City of Hialeah. Did you go to high school in Miami? Yes. I completed my high school diploma at Hialeah Senior High School in 1985. Why did you choose Florida National University (FNU)? After graduating from high school, I was not interested in pursuing a college degree. However, after a couple of years of pondering the idea, I decided to enroll at Florida National University. FNU allowed me to complete my degree program while holding a full-time job. The professors had diverse backgrounds in their field of studies, which made an impact throughout my academic journey. Associate of Science degree in Business Administration (1989). How has attending/graduating from Florida National University help you achieve your educational and/or professional goals? After completing my degree program at FNU, I completed my Bachelors degree and earned my Master of Public Administration (MPA) degree at Nova Southeastern University and completed my Doctoral Degree in Business (DBA) from Argosy University. Moreover, I served in various leadership roles for 20 years with the local government. My experience within Miami-Dade County Government includes work within the following roles and departments: Administrator of Operations, Miami-Dade Police Department – Animal Services Unit, Budget Analyst, Miami Dade Corrections & Rehabilitation Department, and Affirmative Action Administrator, Department of Business Development. During my tenure with Miami-Dade County, I was also the recipient of the 2004 National Association of Counties (NACO) Achievement Award for the implementation of several community-driven programs in Miami-Dade County, Florida. After completing my Doctoral Degree, I went on to work for several universities across the country assisting with implementation of public administration and management courses as well as sitting on several dissertation committees. 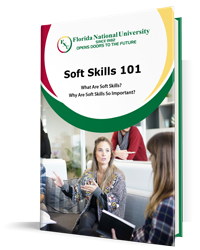 Any specific course that you took at Florida National University that helped you? Overall, FNU’s course offerings prepared me academically and I was also able to develop my leadership abilities through its core of faculty members. Most importantly, I not only learned top analytical techniques, but I also learned how to apply them in ambiguous situations that didn’t precisely fit the textbook models. Was there a specific Florida National University professor that stood out in your mind while you were attending the University? 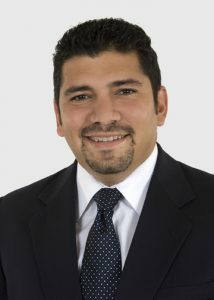 Dr. Enrique Zamora was an adjunct professor who taught related business law/management courses. Most importantly, he managed to share his real life experience in conjunction with the course contents, which assisted me in my educational development. Currently, I am the Director of the Business Department (School of Business) at Carlos Albizu University. I am also the vice-president of JDT Management Consultants in Clearwater, Florida, specializing in management, organization, strategy, international business, human resources, organizational development, and educational administration.